Siargao has always been regarded as this magical island south of the Philippines, with a very distinct vibe. The community, composed of locals and foreign settlers who initially came to the island to surf are the main purveyors. The best cuisines are making its way to the island to serve the palettes of a very diverse market. Restaurateurs from all over the country and the world are setting up shop. Although there’s a lot of good ones we’ve highlighted some of the best. 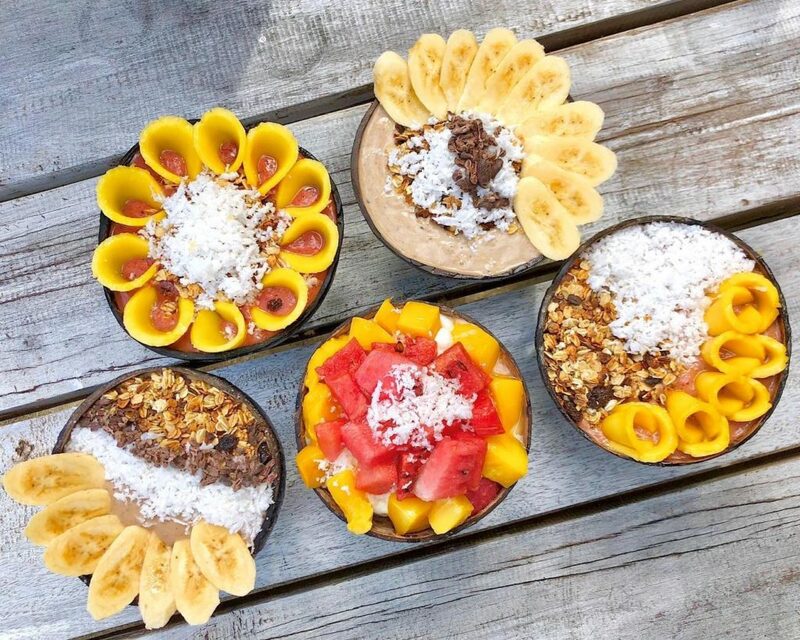 Brought to us by these two young Aussies who stumbled upon the island years ago and fell in love with it, Shaka is easily the healthiest (vegetarian and vegan-friendly) and most Instagram-worthy food destination on the island, serving fresh smoothie bowls and quick bites. Expect to see yogis, hippies and hipsters out looking for their açaí bowls. They’re currently expanding all over the Philippines—and soon worldwide—all from the success they started in their little shop in Siargao. Their new site boasts of a great view of General Luna’s surf. Dinner, and after dinner, and drinks—why not? Who says an after-hours place can’t be the load up and dining destination in one? 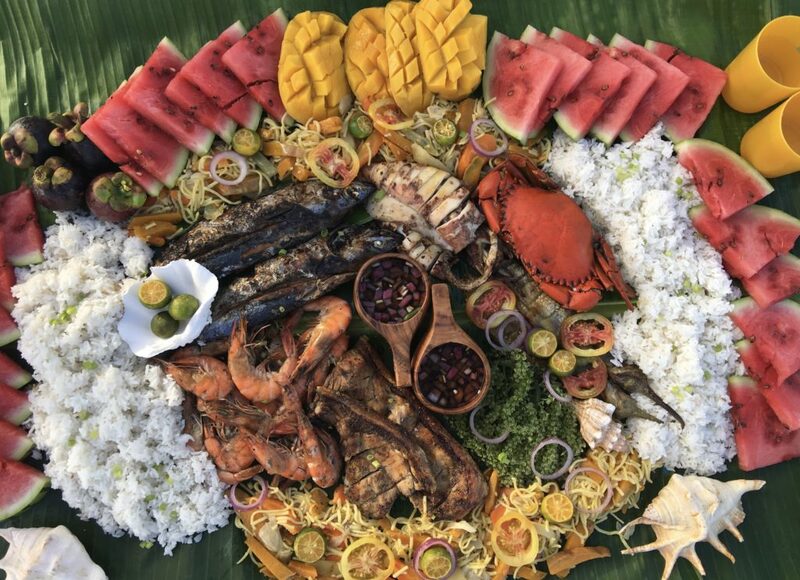 Cantina Luna whips up a full array of amazing Filipino dishes from sun down to sun up. A brainchild of the Pamintuan siblings, successful restaurateurs in Davao City, this place is a go-to destination for good food and good times during your stay on the island. 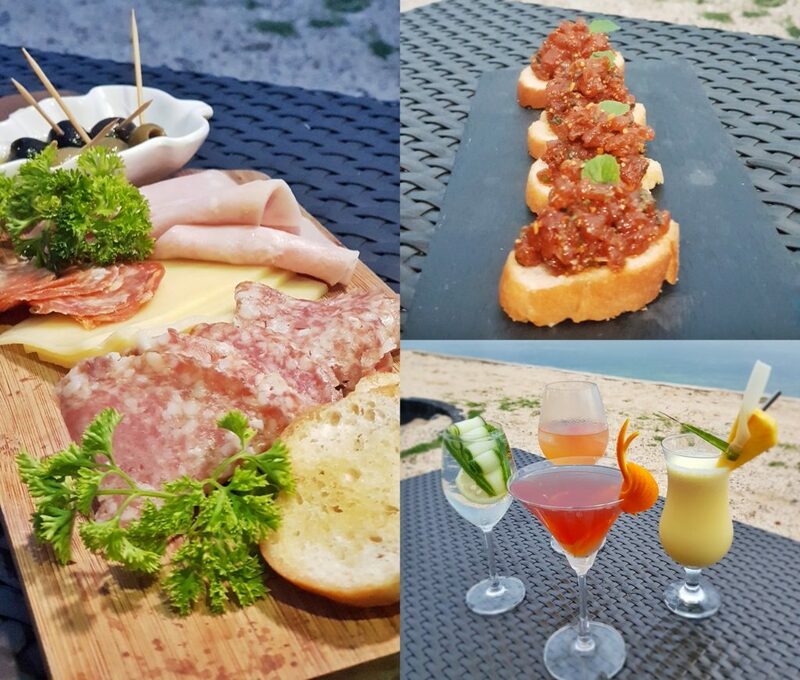 This Italian restaurant tucked in deep in General Luna faces the beach and features an open kitchen. 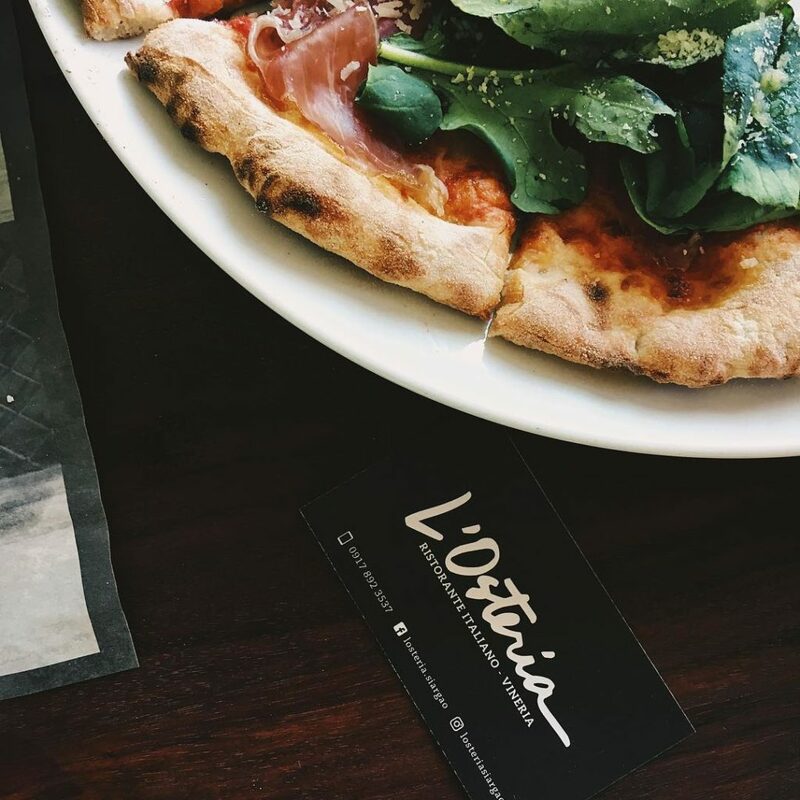 If you want to dine someplace fancy, go to L’Osteria—it may be one of the pricier restaurants, but it doesn’t fail to deliver in quality. Try their calamares and the pizza. Serving up the best pizza on the island is Kermit. 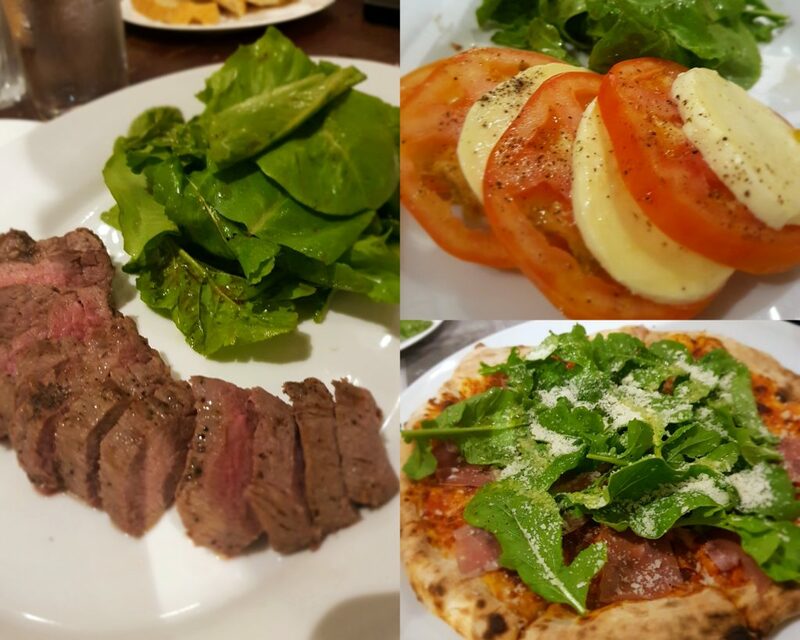 Although Kalinaw or L’Osteria might contest it, Kermit is so good that Manileños have clamoured and their request answered as it recently opened its Manila branch in Poblacion, Makati. 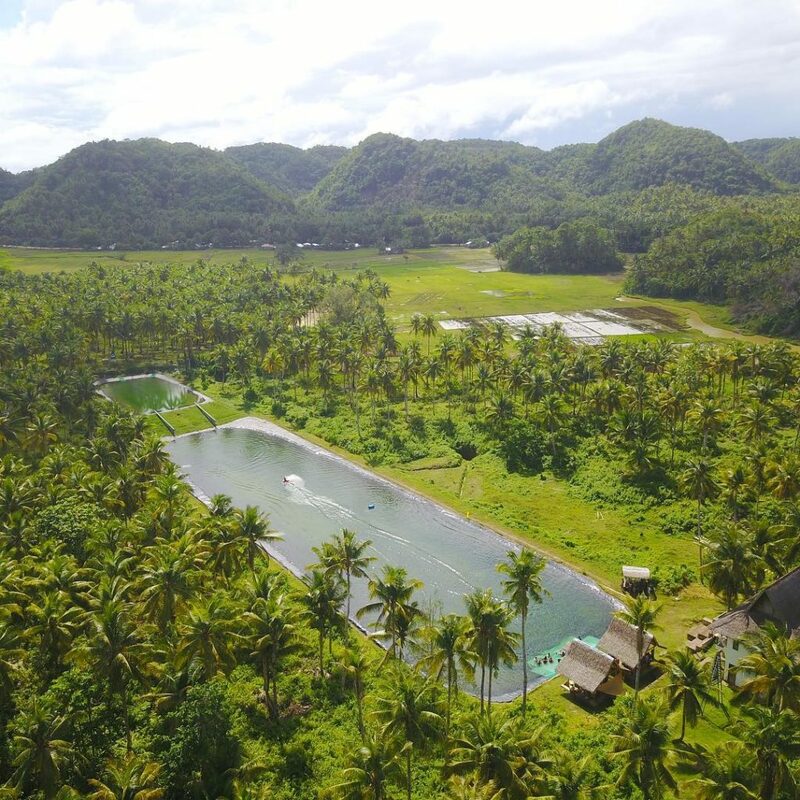 Overall, it has a great vibe and is the home of Siargao’s iconic surfing team, the Gwapitos, if you were keen on buying some of the local merchandise. 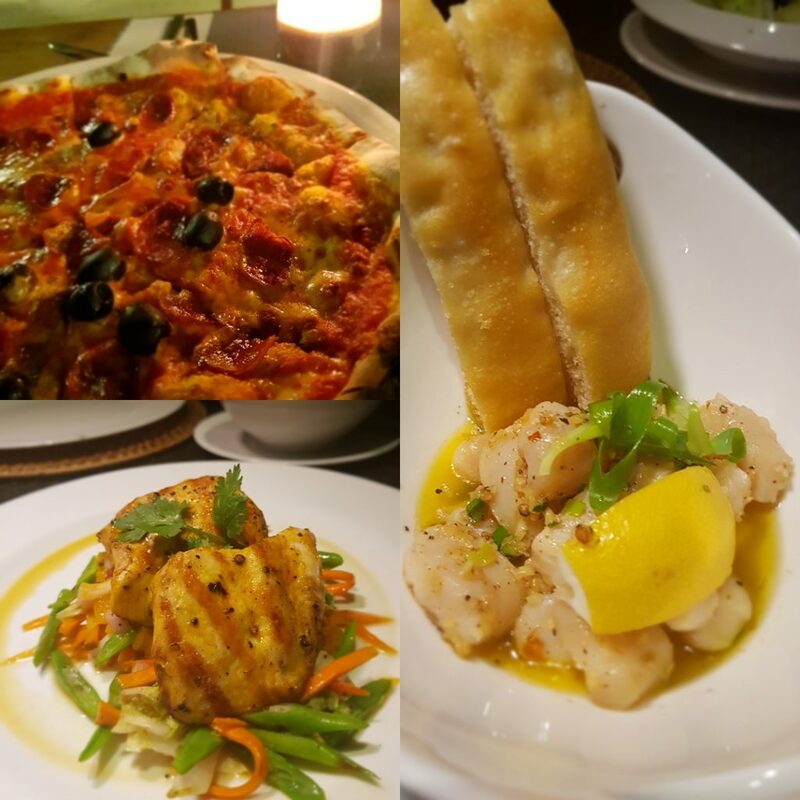 It’s noticeable to see that we’ve got three Italian contenders in the roster, and Kalinaw is arguably the best on the island, known for their authentic thin-crust pizza cooked in an Italian-made wood-fired oven. There’s so many beautiful islands to visit and more being discovered as we speak—all within boating distance from the main pier of Siargao. 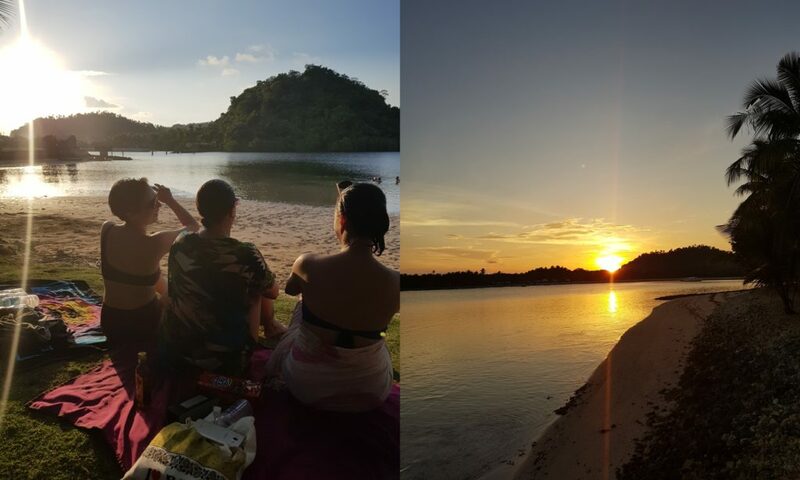 There’s Daku Island, Naked Island, Corregidor Island… hopping from one island to another is really the highlight of a Siargao trip. 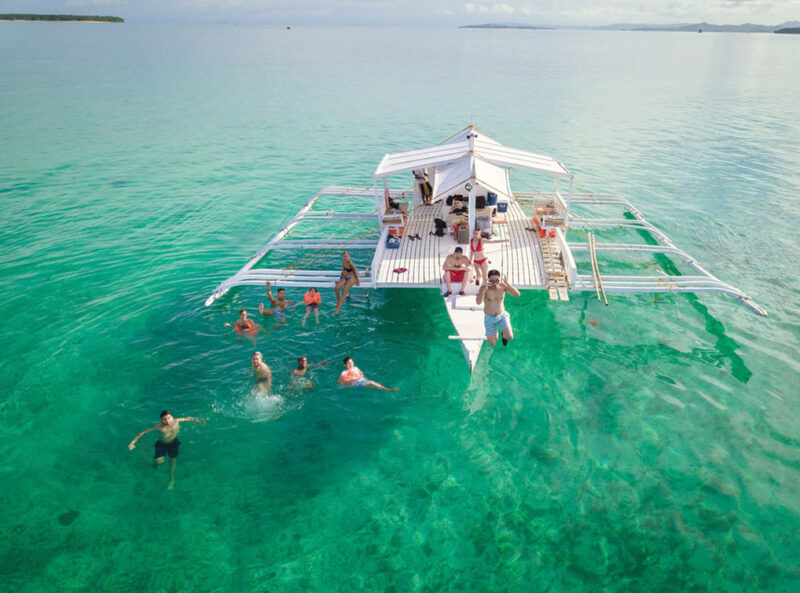 Travel on a yacht, Filipino style via the Galatea, a plus-size bangka (local pump boat) fitted out with some of the amenities of a real yacht. 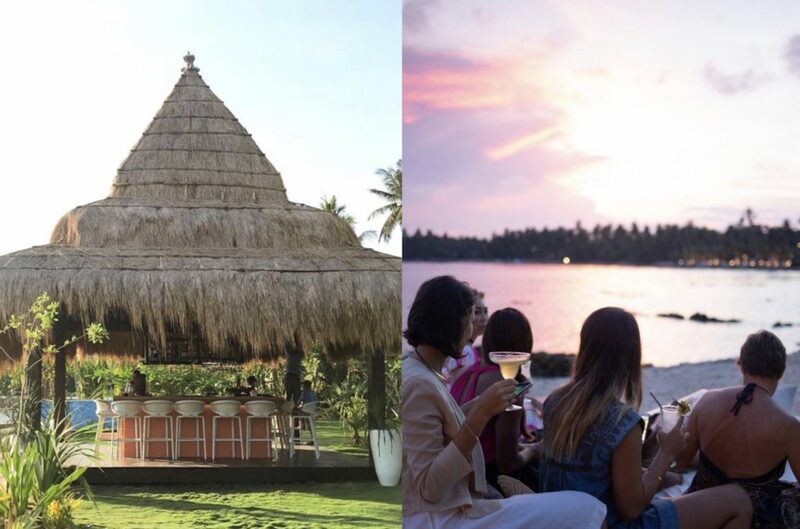 Here, you can enjoy a make-shift toilet, butlers who will cook your lunch on the island and serve it to you and your mates “boodle style”, a sun-bathing deck, and lounge seats. The Galatea boats are the hippest ones on the island, we definitely recommend booking them for your island hopping tours. The island is so beautiful that it doesn’t do justice to stay in just one area. Explore the island and its hidden beach coves (like Malinao) or go up north to see beautiful virgin beaches. 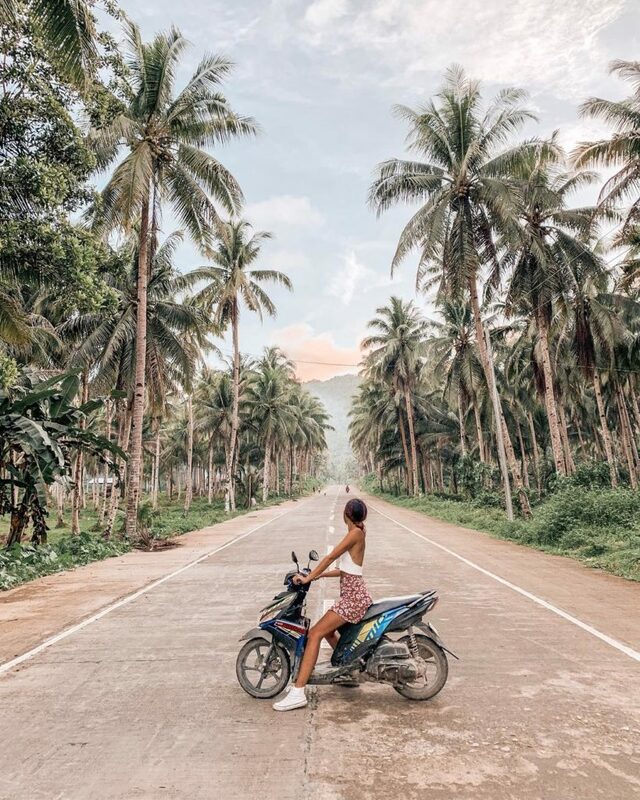 You can do it Siargao style by renting and going around on a motorbike for that ultimate local experience. Just be careful not to get into any accident. The best spot to watch the sunset as the cove is strategically located to face the sun as it goes down is at none other than Karagatan. Jove Schrottman, the man behind world-renowned island spa in Boracay, Mandala, takes the helm of this restaurant and bar that serves some of the island’s best cocktails. Located in Siargao Bleu Resort & Spa, it features an amazing beach front pool and and manicured landscape. 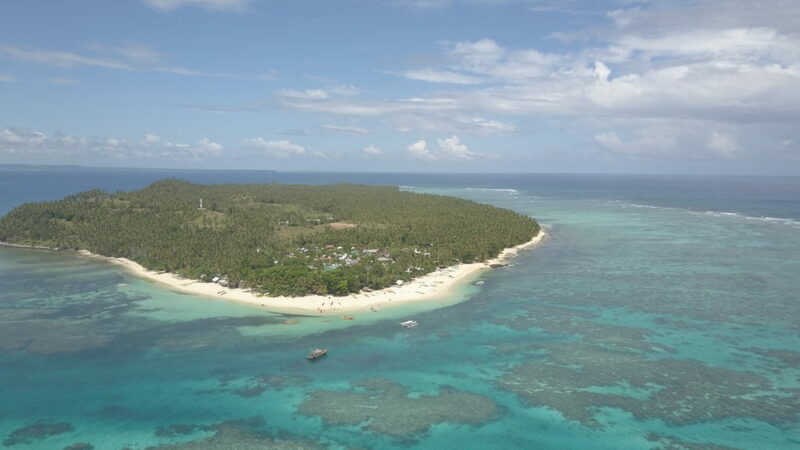 One the best looking beachfronts in General Luna, the central area of Siargao, is Isla Cabana. It features a pristine white sand beachfront, a tempting pool fronting the sea and a restaurant that serves great Filipino food and some of the best cocktails on the island. Don’t be surprised to see a horse galloping into the sunset. You’ve seen it in so many Instagram posts. A diving platform perched up on top of a glistening calm lake that reflects the sky like a mirror. What are you waiting for? 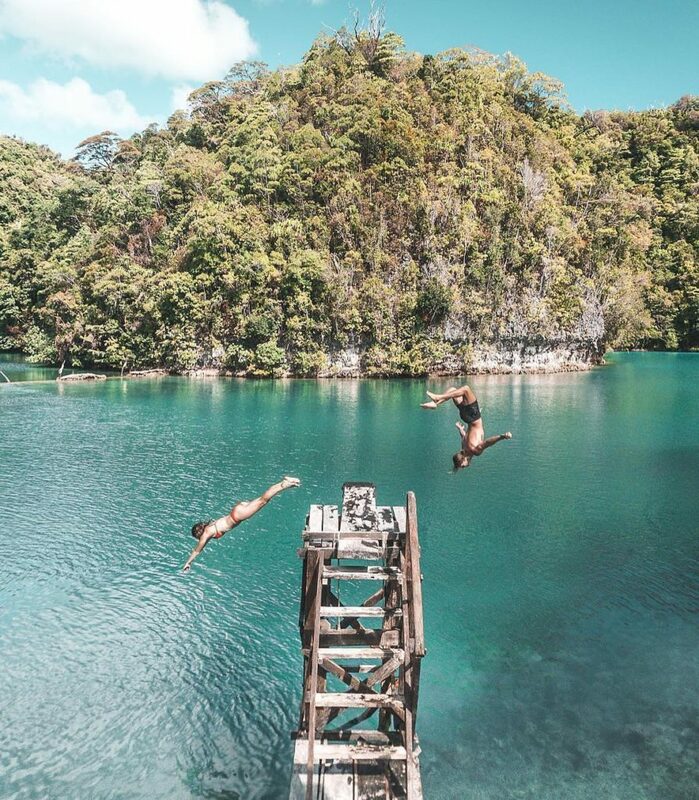 Bro tip: If you’d like to be able to experience the enchanting Sugba Lagoon, make sure not to go in June 2019, as it will be closed for rehabilitation. More deets here. There used to be a time when nightlife on the island was so limited that one bar hosted a party per night of the week. But with the influx of more people (thanks to more flights available), the bars have become more bustling than ever. 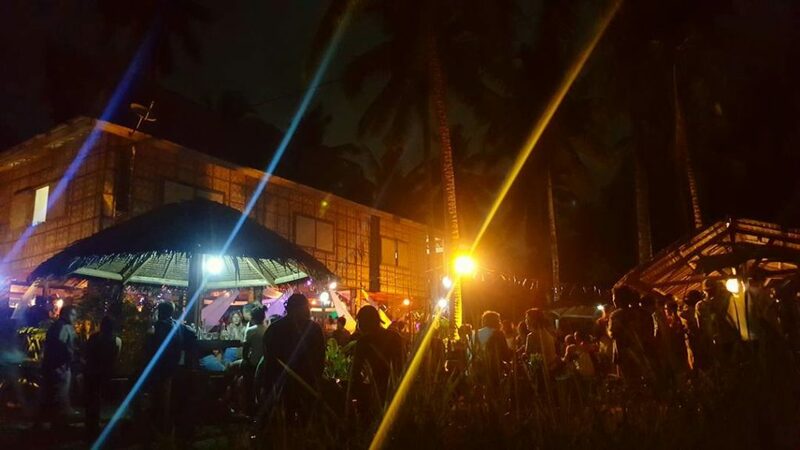 The good thing with Siargao is that it has been very resilient against commercial dance music as both locals and foreigners detest it like a plague. Hopefully it stays that way. This motorbike bar and restaurant that reminds you of a mini-version of Deus Ex Machina in Bali is the load-up place where everyone hangs out before heading to different nightspots. They normally have live acts performing, with a billiard table that’s always booked out and an overflowing volume of people spilling out to the streets. 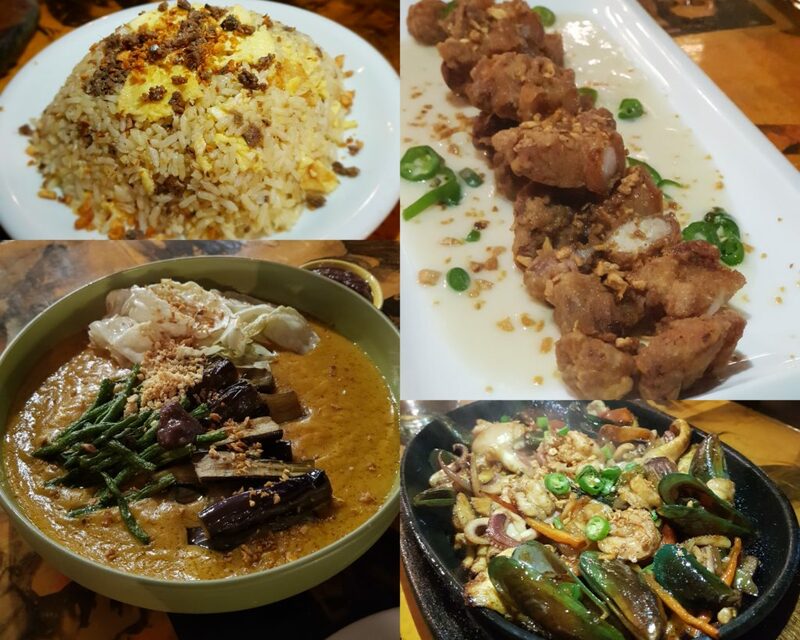 Literally translated as “serenade” in Filipino, Harana is a great restaurant by day but an even hipper late-night watering hole for people out for a good time. Although this spot is a bit pricier than the rest, it covets CVMN’s Favorite Nightspot Award, where the island’s best can be spotted. Live music, followed by DJ sets, is featured on certain nights but expect a good selection and musical genre. Make sure these are your last stops for a guaranteed fun night out on the island.. When everyone else has gone to sleep to surf early the next day, the nocturnal surfers continue on to these two hotspots. RumBar is known for reggae beats, while people flock to Octopus Beach Bar for its underground house vibe. Hungry? Don’t worry, bros, both places serve yummy after-hour chow outside the dance area. Certain nights will have massive underground rave events in this venue that can house roughly more than a thousand people if packed. 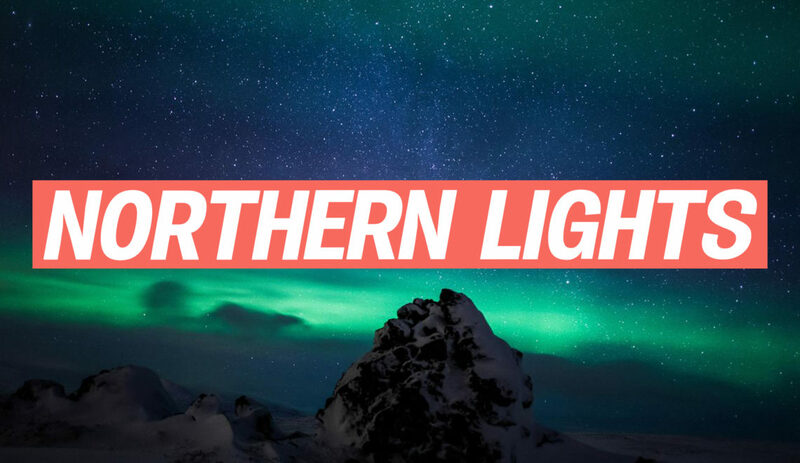 Hit or miss on some nights, if you ask us—as the DJs are inconsistent—but if you’re lucky, they can have some really good undiscovered turntable talents. 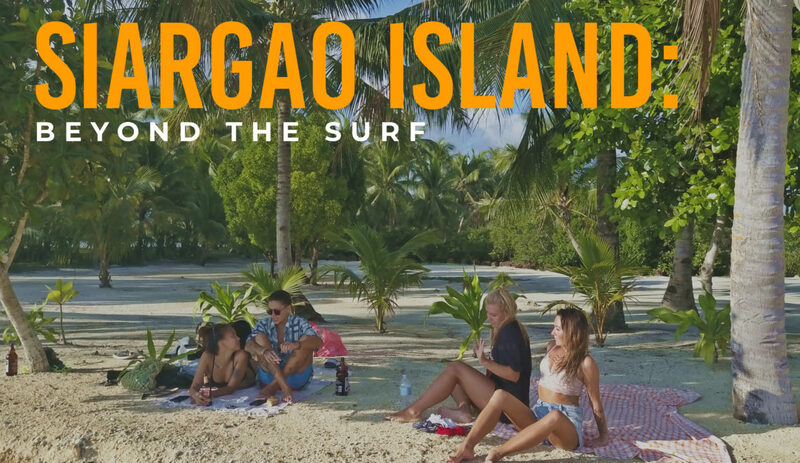 Planning your Siargao trip soon? You can thank us later—and do report back to us and tag us on your Instagram posts if you’re able to visit any of these CVMN-recommended spots!